TORONTO–(BUSINESS WIRE)–iotum Inc is named as one of Canada’s fastest growing technology companies in the 19th annual Deloitte Technology Fast 50™ awards for demonstrating bold innovation, dedicated leadership and strong growth. iotum Inc ranked 7th in Canada with 2147 percent in revenue growth from 2012 to 2015. In 2015, iotum Inc ranked 43rd in North American and 5th in Canada with a 2,327 percent revenue growth from 2011 to 2014, making it the highest ranking Fast50™ and Fast 500™ company in Ontario. “FreeConference.com is our most popular product, and it is the best free web meeting product out there, bar none. Canadian and American customers have helped drive our company into the Fast50™ and we couldn’t be happier,” says CEO, Jason Martin. The Deloitte Technology Fast50™ program celebrates leaders in the Canadian technology industry and tracks the successful growth of Canadian-grown leaders. The program augments the broader Deloitte North American Technology Fast 500™ initiative with winners automatically eligible for this elite ranking. To qualify for the Deloitte Technology Fast50™ ranking, companies must have been in business for at least four years, have revenues of at least $5 million, be headquartered in Canada, own proprietary technology, conduct research and development activities in Canada and invest a minimum of five percent of gross revenues in R&D. 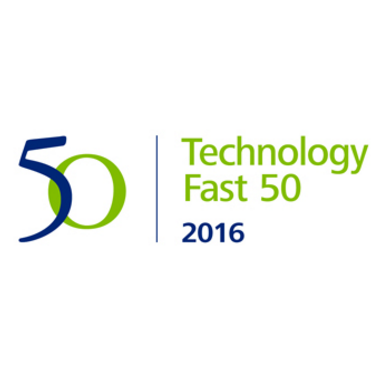 The Deloitte Technology Fast 50 program is Canada’s pre-eminent technology awards program. Celebrating business growth, innovation and entrepreneurship, the program features three distinct categories including the Technology Fast 50 Ranking, Companies-to-Watch Awards and the Leadership Awards. Program sponsors include Deloitte, Aequitas NEO Exchange, Bank of Montreal, Bennett Jones, OMERS Ventures and Vistara Capital Partners. For further information, visit www.fast50.ca.